Thread Check Inc. supplies a complete range of cylindrical taper gages and cylindrical tapered ring gages for National Machine tapers, Jarno tapers, Brown and Sharpe tapers, and Morse tapers. All standard taper gages are manufactured per ASME/ANSI B5.10-1994 (R2008) Class Z unless otherwise specified. Taper gauges can be designed for tapers with or without tangs. Thread Check Inc. also designs and builds custom taper gauges, custom tapered ring gages, and taper pipe thread gages for a wide range of industries and applications. Other types of tapers include medical luer tapers, Cat V Flange tapers and Steep Machine tapers. Thread Check has a custom order form which makes ordering cylindrical taper gages straightforward. Tolerances for diameter A at the gage line are plus for plugs and minus for rings. Taper deviation on plug gages may be applied only in the direction that decreases the rate of taper. Taper deviation on ring gages may only be applied in the direction that increases the rate of taper. 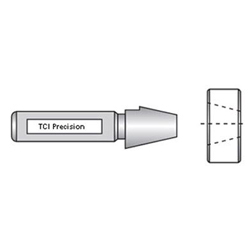 There are two general types of taper gauges: self-holding and self-releasing taper gauges. Self-holding tapers are small tapers usually around 2 to 3 degrees. Self-releasing tapers are larger tapers like a machine spindle which has 3 ½ inches per foot. This taper would have an included angle of 16 degrees and the arbor or tool would require a positive locking device to prevent slipping. One of the most economical ways of checking tapered inside and outside diameters is with taper gages. Tapered plug gages will have a min and max line or flat that allows an inspector to confirm if the taper of the part is correct. If the gage stope between the 2 lines the tapered part is within tolerance. If the gage sinks down below the max line then the taper on the part is considered too large. The taper is too small if both marks are visible. The same method of gaging is applied to tapered shafts using tapered ring gages. The ANSI standard on machine taper gauges can be confusing. 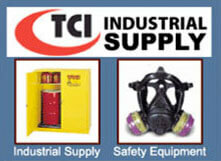 The standards have been written for the tool holder manufacturers and machine tool builders. The machine taper ID is made with a decreasing taper while the tool holders OD is made with an increasing taper. If a taper inspection plug and taper inspection ring are ordered together they will not blue to each other. The user should order a tapered plug to the standard with a master plug ring to check the taper plug for wear. When ordering a tapered ring the user should order the master plug to check for wear as well. 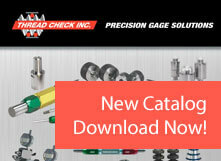 Thread Check’s expert sales engineers can assist you with all of your taper gauge requirements.